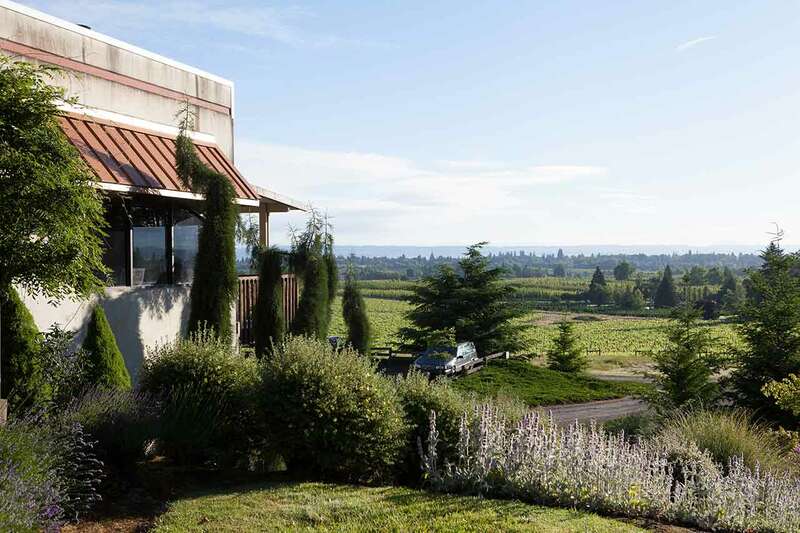 Tour the bucolic rural Tualatin Valley along the Quilt Barn and Wine Trail. 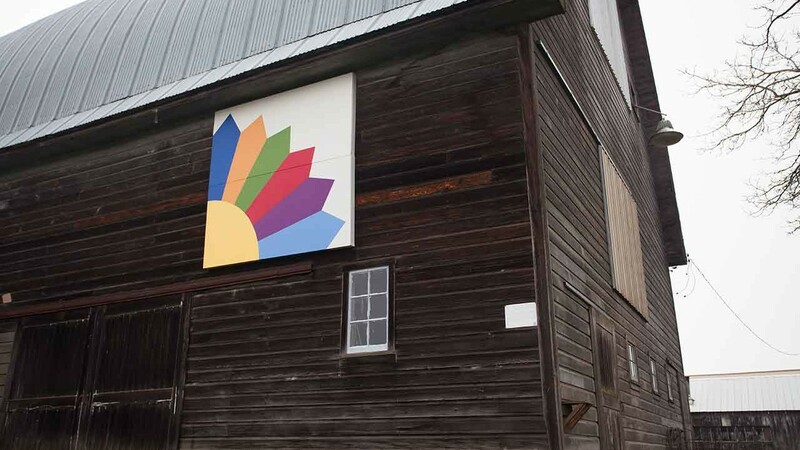 See the quaint quilt pattern artworks painted on “quilt barns” in the region, while traveling to wineries in the heart of the Tualatin River basin. This two-day tour of the Tualatin Valley countryside begins and ends in the charming city of Forest Grove. Stay at the historic McMenamins Grand Lodge in Forest Grove, which will serve as your home base. Next, stop for food in downtown Forest Grove at Bites Restaurant. Bites opened in 2016 and serves an eclectic menu of Asian-inspired fusion foods. The first winery stop is not a winery, but a saké brewery, SakéOne (open daily, 11 a.m. to 5 p.m.) Sample the exotic tastes of saké at this American owned-and-operated premium saké producer. This innovative destination features traditional, fruit-infused and organic saké. While driving to the next winery stop, pass by the Eight-Pointed Star pattern of the quilt barn at the former L-Bar-T Bison Ranch (43465 SW Hiatt Rd., Forest Grove). Next visit Montinore Estate (open daily, 11 a.m. to 5 p.m.), a biodynamic vineyard and winery, featuring multiple varieties of wine. Sample Montinore’s organically-produced wines, from Pinot Noir to Riesling. At Plum Hill Vineyards (open daily, 11 a.m. to 5 p.m.; opens at noon on Sundays) sample wine and enjoy the Double Wedding Ring quilt pattern of the winery’s quilt barn, while sampling Pinot Noir, Syrah and “Red Velvet” dessert wine. Then, travel to the Foehlinger Barn, 5735 SW Spring Hill Rd., in Gaston, which boasts a Dresden Plate quilt design. The pattern will match the blades of a 30-foot windmill that is planned for the farm. Grab a bite to eat at One Horse Tavern. This tavern in Gaston, on Highway 47, is known for its weekly specials, burgers and late-night menu. Return to the Grand Lodge. Stop for a quick bite at Forest Hills Golf Course, or head over to the Unger Farms Store and Berry Café. This seasonal u-pick farm offers delightful treats at the Berry Cafe inside its farm store, featuring waffles, panini and more. The second winery stop of the day is Ardiri Winery & Vineyards. This estate winery features wine crafted from the grapes grown at in vineyards in the Tualatin Valley, as well as Napa Valley, California. The result is lush, flavorful wines that artfully blend the complementary tastes of the two different wine regions. Venture to the next two wineries, which represent the pioneering spirit of Oregon winemaking, paving the way for new winemakers in the Tualatin Valley: Oak Knoll Winery and Blizzard Wines. 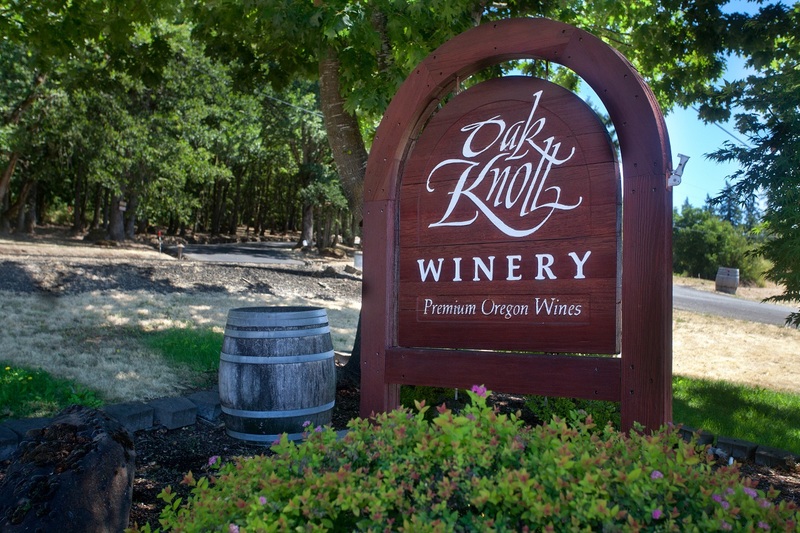 Oak Knoll is one of the state’s earliest wineries. In the 1970s, the winery produced berry wines. Today, it produces several varieties of wine, including Pinot Noir, Pinot Gris, Riesling, and, yes, it still produces berry wines. Blizzard Wines is one of the valley’s newest wineries. Blizzard produces a number of red and white wines, which may be tasted at its new tasting room. After a day of touring quilt barns and wineries, cruise in to the Cruise In Country Diner. This 50s-style diner features burgers—including grass-fed beef, bison and alpaca—and fries prepared from fresh, local ingredients and cooked in healthy oils. The diner also boasts a number of local wines and beers. Finally, view the “North Star” quilt pattern at Humphrey Barn: 6800 SW Straughan Road, chosen from an Underground Railroad family quilt.